For those who are interested in the benefits of traditional Chinese acupuncture but are uncomfortable with large needles, Japanese acupuncture offers a variation that many find more comfortable. By combining thinner needles, acupressure, and the warming effect of moxibustion at his Poway, CA, practice, Dr. Bret Mosher can provide all the benefits of Chinese acupuncture in an extremely gentle way. Japanese acupuncture involves using thinner needles than those used in Chinese acupuncture. What Makes Japanese Acupuncture Different? Japanese acupuncture is founded on the same principles as the traditional Chinese method, in which practitioners treat various health conditions by manipulating a patient’s natural flow of energy, or qi, with needles. However, the biggest difference between Japanese and Chinese acupuncture is intensity: overall, Japanese acupuncture is much gentler. As a result, although traditional Chinese acupuncture is more common in the United States, Japanese acupuncture is often recommended for first-time patients. Since the 1970s, Japanese acupuncture has often used small plastic tubes to guide insertion of needles. This further improves precision and overall comfort. However, Dr. Mosher can target a much broader range of conditions as well, from metabolic disorders to insomnia. How Does Japanese Acupuncture Work? 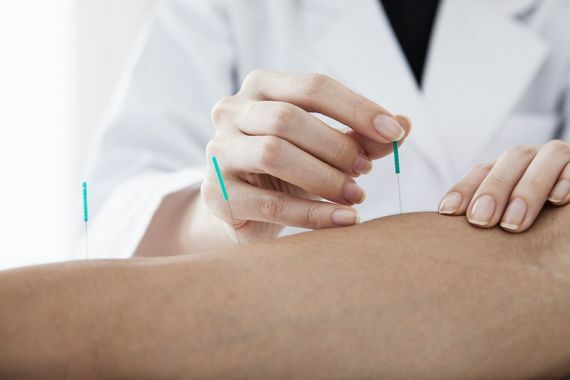 Smaller Needles: With smaller and thinner needles, acupuncture becomes more precise and, consequently, more comfortable. Furthermore, because it targets more superficial tissues, patients often do not even feel the needles when they are inserted. Acupressure: By using acupressure to feel the abdomen, back, and certain other areas for pulses along meridian lines, practitioners can better judge the most appropriate point of insertion for needles. It can also help patients relax before treatment. Moxibustion: Although herbal treatments are largely absent from Japanese acupuncture, practitioners do regularly use moxa. Derived from an herb called mugwort, this substance is carefully burned over a patient’s skin before treatment in a process called moxibustion. By warming the skin beforehand, practitioners can make the experience even more soothing. Method of Insertion: Since the 1970s, Japanese acupuncture has often used small plastic tubes to guide insertion of needles. This further improves precision and overall comfort. Lack of Movement: To encourage greater movement of qi, traditional Chinese acupuncture rotates inserted needles. This can be uncomfortable for some patients. Because Japanese acupuncture does not include the same amount of movement, it results in an overall gentler sensation. Dr. Bret Mosher performs Japanese acupuncture as a gentler option for those seeking relief from a variety of conditions. Reach out online today or call (858) 679-2995 to set up a consultation.